1. (+) Kate, the protagonist - Kate is just the same as she was in Die For Me: strong, decisive, determined... still reads a lot and is more of a homebody than anything else. I loved her interactions with her sister Georgia as much as I did for the last book too. The only complaint I'd have is that Kate seemed to cry a lot in this book. 2. (+) World-building - Lots and lots of more details are revealed about the revenants. The plot revolves around one detail - a prophecy for the revenants - and more is revealed about the energy transfer that you read about in the first book, with the Lucien fight. We're also introduced to the guerriseurs and more of the numa/bardia/revenant dynamics. All in all, I was really impressed by how developed Amy Plum had made the world for her paranormal creatures. 3. 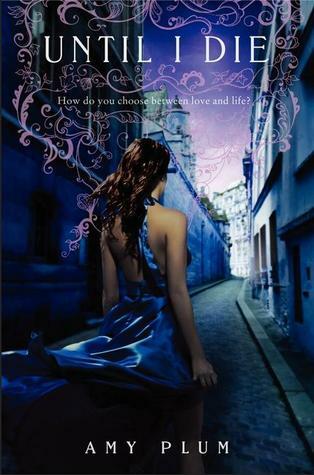 (+) Romance - Vincent and Kate are as sweet as ever (though there is still a hint of a love triangle, more so than in the first book, with Jules liking Kate), but I still have a truly hard time believing in their love -- at one point, Vincent says that he loves Kate because she's complicated. And yes, I understand it - it's very romantic, loving someone for and with her flaws... but because I am kind of cynical, I find it weird that Vincent says all these mushy, romantic things. Sometimes it feels like he's the kind of dream guy any woman would want and not his own character, if that makes sense. I can't picture him existing beyond these pages (but again: this could be my own cynicism.) It's still nice to read about though. 4. (--) The Plot - I saw the plot twists coming from a mile away. The plot moved really slowly in the beginning. At times, the plot seemed non-existent; at least in the first book, you had Vincent and Kate falling in love, now they're already in love. The conflict then comes from Vincent being a revenant (his promise to Kate, etc. etc. -- it really gets beaten into your head, the number of issues they have)... but at the same time, there were a lot of chapters that felt like filler chapters. 5. (+) Stakes - Amy Plum really ups the stakes in this novel. Though I was disappointed by the plot, I could appreciate this at least, and with that cliffhanger... There's no doubt now that I want to know what happens in the third book. 7. (+) Not Like Twilight - by which I mean, when I read Die For Me, I thought that it was basically a better written version of Twilight. I didn't think that the characters were any more fleshed out or original, or the revenants that new or different of a paranormal creature. But Until I Die was a breath of fresh air. There were a lot more world-building details, and the characters seemed more like their own and not inspired off the large family dynamic in Twilight. The only complaint I'd have is that Kate spent way too much time with Vincent, and way too little time with the other revenants (especially if Amy Plum is building the love triangle, which it kind of seems like she is), and that in itself reminded me a bit too much of Bella's dependency on Edward. 8. (+) Writing - Amy Plum's writing is really easy to visualize and flows well. 9. (--) Pacing - This book goes...so...slowly. It's not just in the beginning. The slow pace continues throughout the book, and honestly I probably felt this way because I was also disappointed in the plot--which as I said was slow as well. 10. 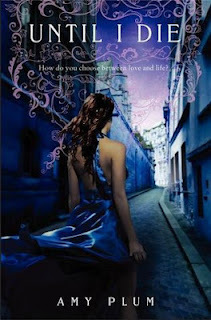 (+) The Cover - It doesn't really represent the story, the fact that a girl is walking down some random alley... but it's pretty, and the colors do the story justice in terms of symbolism. This book is heavier than Die For Me. Although there was more mystery in Die For Me, and we get to know the side characters better in it than we do in this, I enjoyed Until I Die more than its predecessor. I came to see the story as separate from others like it and could appreciate it on its own as a lush addition to the paranormal romance genre. Great Review! I love this series so much, I have a signed copy of Until I Die! I think I love it so much because the setting is in Paris. I can't wait to find out what happens in If I Should Die.